Built in 1958, The Waymire House was one of Kappe's first commissions, and still maintains many of the original details and materials from the time, a nod to the home's rich history rooted deep in the Los Angeles architecture scene. Never miss a view with floor-to-ceiling glass walls and pitched roof detailing throughout each and every room, allowing inhabitants to overlook the best of Los Angeles, from the lights of downtown and Century City, to the Griffith Museum, and even to the Hollywood Hills and iconic Hollywood sign beyond. 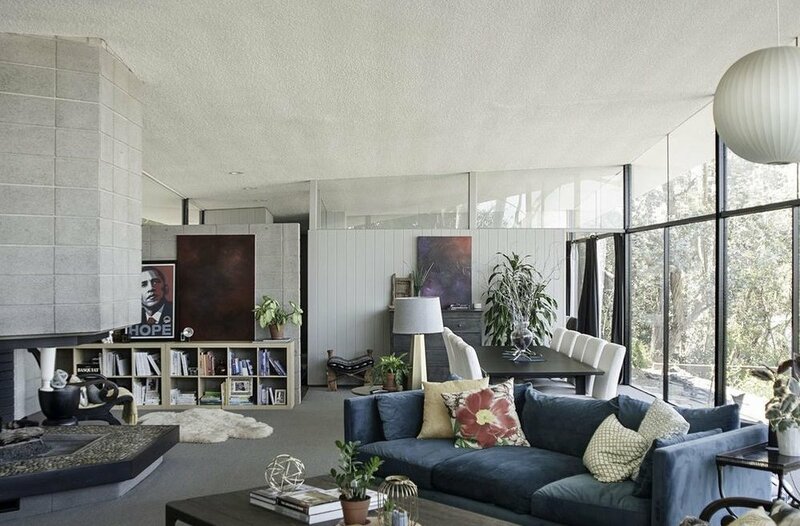 A gorgeous open floor plan highlights the stunning Mid-Century design, with concrete block walls, clerestory windows, and an expansive open design where natural light abounds. A stunning open concrete fireplace is a mainstay in the vast living area, which includes the living room, dining room, and ample space for entertaining. The 1,906 square-foot residence sits upon a .42 acre lot, with a gorgeous outdoor patio nestled amongst oak and eucalyptus trees. The patio allows ample space for further construction or an expanded deck, making for even better views of the city below. Conveniently located centrally to many of Los Angeles' most desirable locations, LAX, the Westside, and Downtown are all just a 20-minute commute away, as is the under-construction sports stadium in Inglewood. Don't sleep on this historic Mid-Century Modern home located at 4245 Don Alanis Place!